Time use surveys — collecting statistics about how people spend their time — are increasingly being used to inform development agendas in developing countries, a report from the United Nations Foundation's Data2X initiative finds. 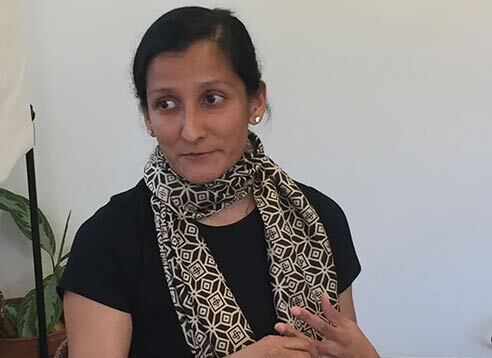 Gayatri Koolwal, a Fellow at Data2X, was invited to speak this week at the Human Development Report Office's Seminar Series on the main findings from a new report Invisible No More? A Methodology and Policy Review of How Time Use Surveys Measure Unpaid Work. 1. What are time use surveys? What is their added value? How can the tracking of time use contribute to development, in particular the Sustainable Development Goals (SDGs)? Time use surveys collect data on how individuals spend their time over a specific period — typically a day. They help reveal details of a person’s “daily life” that are missing from standard household surveys, including the length of people’s workdays, and the extent of their unpaid work — including care of children and the elderly. These commitments affect how much time is left for people to do other things, including going to school and seeking paid work. This has policy implications, especially for understanding the different experiences of men and women. Though both sexes engage in paid work, women and girls often shoulder the majority of unpaid care and domestic work. This is very important work, but the contribution is often hidden if such data are not collected. 2. What are the major findings of the report? Why “invisible no more”? The report aims to strengthen the usefulness of time use surveys for policymaking and has a number of recommendations. It advocates for balancing the goal of having complete internationally comparable surveys against the goal of reducing survey costs by using simpler surveys. It provides a series of recommendations to resolve important methodological issues about measuring unpaid employment and household work such as the time of year/day of week when data is collected, and considers particular issues for developing countries such as prevalence of unpaid work, low literacy, lack of use of time pieces, etc. It encourages as well to consider social norms and household structures in selecting the survey respondent and interpreting time use patterns, linking time use data to information on contextual variables, such as location of activities, type of employment, ethnicity, age, and household structure. And it finds solutions for measuring and reporting simultaneous or secondary activities that do not overburden respondents, which is crucial for understanding work conducted within the household. Finally, the report encourages repeated surveys over time as these increase the potential policy and research benefits of time use data. 3. The 2015 Human Development Report (2015 HDR) emphasized a comprehensive concept of “work” that goes beyond “jobs”. It showed that even though women spend more time working when paid and unpaid work are counted, they face disadvantages in both areas. How did that report, or HDR background research, help shape the work for your report? The 2015 HDR highlights how women bear the overwhelming burden of unpaid work across countries, and within the realm of paid work, face discrimination, lower earnings, and other inequalities in opportunities compared to men. Recognizing unpaid work in official statistics, through time use surveys and similar approaches, is one important step for understanding how policy could address some of these inequalities. Data2X’s report focuses on ways to better measure unpaid work, and how policy informed by time use surveys can improve employment and social protection programs. 4. How much influence has time use data and analysis had on policy making or tracking existing policies in different countries? In the report, we examined 18 country case studies across different regions of the world to look at how time use data has shaped policymaking: we find it has been used in 10 of those 18 countries. In Albania and Mexico, for instance, time use data has been used for gender equality policies. While in Cambodia and Colombia, time use data were used to define policies regarding children. In Moldova, the 2011–2012 time use survey results influenced employment strategies. And Uruguay used information from different time use studies to provide the rationale for a comprehensive National Care Policy (2015) that codifies the function of care under the law and underwrites facilities for childcare and care of the elderly. In Finland successive time use surveys have been used to inform a range of different policies covering retirement, child and family policies, and planning of TV programming schedules, among others. Mongolia, South Korea, and Tanzania have also made use of these surveys, while in the remaining 8 countries included in this report (Chile, Egypt, Ethiopia, Ghana, India, Kazakhstan, South Africa, and Thailand), there was insufficient information to examine whether time use data has had an influence. 5. Time use surveys are said to be complex, costly, and there’s a general disconnect between producers and users of data. What does that mean? National time use surveys that involve detailed 24-hour diaries of respondents’ activity are more costly to run than many other socioeconomic surveys. This cost and complexity is magnified in places with lower education levels (affecting respondents’ ability to interpret time), when greater shares of workers in informal and seasonal work are more difficult to measure, in more complex sociocultural contexts (including extended family networks and greater diversity of local languages), and when traditional gender roles can bias how respondents choose to report their work. Because of these challenges, many time use surveys are difficult to conduct or to analyze. But there are ways to overcome these challenges through careful survey design. Recent shifts across many countries in using newer technologies can also improve data collection and speed up analysis. But the underlying motivation for conducting time use surveys also matters. The report found that where collecting time use data is demand driven, and line ministries are involved from the beginning, the likelihood of use in public policies or programs is increased. Moreover, good dissemination of time use data improves policy uptake. Time use data was less likely to have an impact where gender-blind poverty reduction strategies were driving the government agenda. Timing of data production also matters, as data produced at the beginning of a government is more likely to influence government policy than data produced at the end of a governing cycle. International and regional development agencies have a key role to play in setting international frameworks and agendas, such as the Beijing Platform for Action or the SDGs, and for encouraging regional cooperation, which has been key to improving time use surveys in Latin America and Eastern Europe. Finally, organizations at both levels can continue to call for increased support to this type of data production and demonstrate the use of this type of data in their own thematic and high-level reporting.